Why is STEM outreach important to you? What is your advice to someone who wants to get involved? Back in September, I participated in the WTS Philadelphia Transportation YOU (TrYOU) kickoff. We went on a walking tour of the Schuylkill River Trail led by President & CEO of Schuylkill River Development Corporation, Joseph Syrnick, and Lane Fike, Director of Capital Projects. I am currently the co-chair of the TrYOU program which is a hands-on, interactive mentoring program that offers young women ages 13-18 an introduction to a wide variety of transportation careers and this is currently its eighth year. STEM outreach is important to me because I didn’t learn what engineering was until my junior year o f high school. By volunteering at STEM outreach events, I teach kids as young as kindergarten about the different fields of engineering and how awesome my job is! 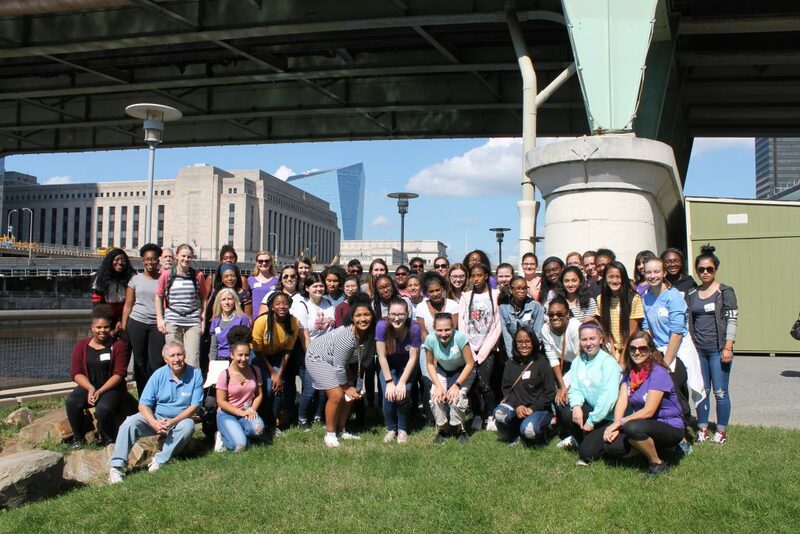 My volunteering serves a dual purpose to show young women to not let being a minority in the STEM fields deter them from pursing their interests. My favorite thing about being an engineer is simply being able to make a difference in my local community. My dad is a carpenter by trade and I vividly remember whenever we would be out driving when I was younger, he would point out buildings in the Philadelphia area that he worked on including the house I grew up in. I like being an engineer because I can now do the same with bridges that I am currently working on! For those looking to volunteer, I'd tell them to Ask! We are always looking for more mentors for the TrYOU program! Generally speaking, I recommend emailing your local professional societies to see what upcoming outreach events they need volunteers for as it a great way to give back to your local community. 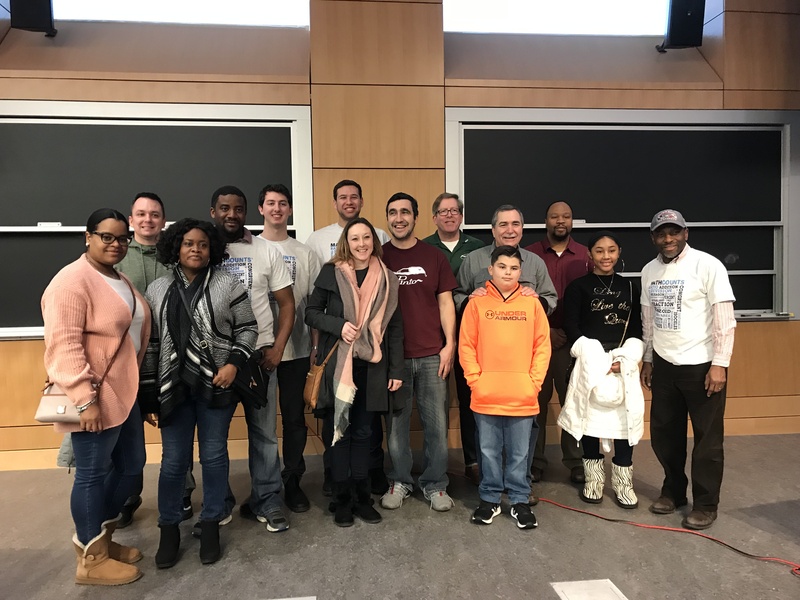 On February 2, several employees across a few of our local offices assisted in making 2019 Philadelphia MATHCOUNTS a success. MATHCOUNTS is a national program sponsored by the National Society of Professional Engineers with competitions hosted by its State and Local Chapters. The event was held at the Temple University College of Engineering, and alum Abraham El served as a Co-Coordinator. Nearly 100 students from 9 Philadelphia schools participated. The top scoring school was Julia Reynolds Masterman. Their winning team, and several other standout individual students will move on to the Pennsylvania State MATHCOUNTS Competition in Harrisburg. Local Competitions are ongoing throughout the month of February and State Competitions take place during March. Many Pennoni employees and offices coordinate and support the MATHCOUNTS program. Reach out to the colleagues local to you that are involved on ways you can participate and assist. They will definitely appreciate your assistance for any time you can help them! Most younger students, and many members of the general public do not realize the impact people in STEM/STEAM have on our everyday lives. Students should see these fields as potential career paths that will allow them to incorporate their creativity and desire to help society. We all need to know that supporting and lobbying for initiatives like infrastructure improvement, medical research, and STEM education will have far-reaching benefits to our communities and quality of life. My favorite thing about being an engineer is that it is pretty cool to solve problems and provide things that many people use as part of their daily lives. Water from a tap, road/highway/mass transit networks, mobile communication devices, power sources, etc. … thank an engineer!!! My advice to someone who wants to get involved is to find an activity, cause, population, community, organization, etc. that you care about then volunteer, join, help, donate, mentor, coach, assist, and/or support! If you cannot find an entity impacting something that needs to be addressed, start, establish, found, and/or develop something! There is something we all can do! Everyone can make an impact! 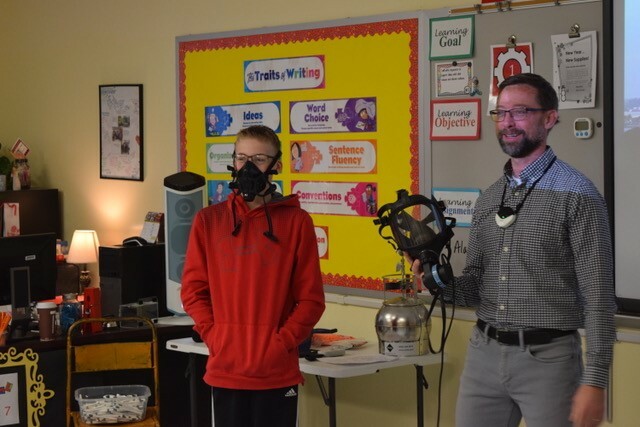 I recently participated in a local middle school career day where I presented on careers in STEM. My focus was specifically on the “Science” of STEM as I am an industrial hygienist with a background in environmental science. I spoke to more than 150 7th graders on what it is like to be a scientist for an engineering firm. By the end of my presentation, more than half of the kids raised their hands saying they wanted to pursue a STEM related education solely based on my presentation! That speaks to the importance of STEM outreach as most of these kids had never heard of this type of science or engineering career path. Kids can identify future careers as movie stars, athletes, or firefighters since they see them every day on TV, but who is educating them on possible careers as engineers or scientists? STEM outreach, at a young age, is important to grab the attention of students and inspire them to be our future leaders! I’ve done a lot of outreach over the years, but the shape of it has changed recently. I’m currently acting as the head of the Outreach Committee for the ASCE Philadelphia Younger Member Forum (YMF). While I don’t find myself leading outreach events quite as often anymore, I get to help provide support and oversight of outreach event planning. This includes K-12, college, and community outreach. The YMF constantly has outreach events in planning throughout the Greater Philadelphia Area. 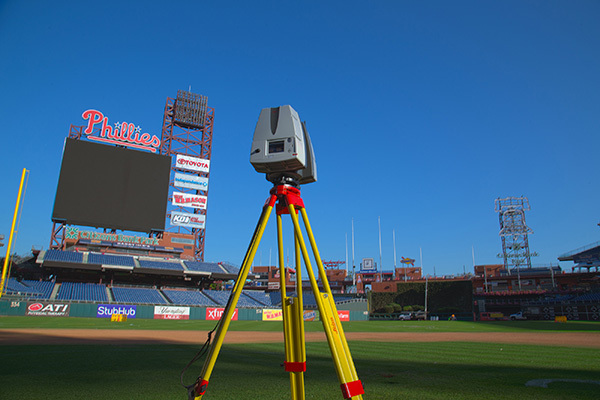 Two outreach events are planned on February 22nd: one at North Penn High School in Lansdale, PA, and one at Spring-Ford High School in Royersford, PA. STEM outreach is important to me because it’s an opportunity to show people that science, technology, engineering, and mathematics are for everyone. Even if those I talk with don’t necessarily become engineers, we have the opportunity to raise their awareness of engineering and often change their perception of it from strict number-crunching to creative problem-solving… not to mention FUN! Forgive the transportation pun, but we’re paving the way for the future! Society looks to us (whether they know it or not) to lay the infrastructure for major, positive changes at a global scale. We’re constantly developing new and improved solutions on projects, often through the application of innovative technologies and in a way that is socially responsible. We’re tasked with the health and well-being of humankind and our environment. It’s lofty and a major responsibility, but also empowering and exciting! 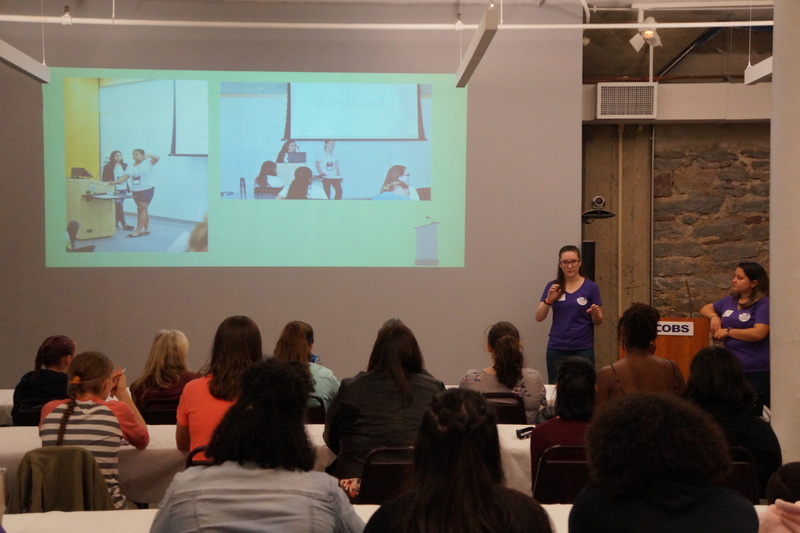 There are lots of organizations that lead STEM outreach initiatives, so you don’t need to go it alone! Believe in your experiences and put yourself out there. 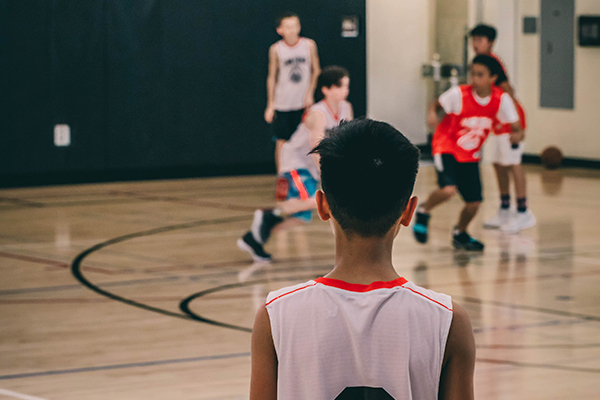 Then, once you find a few opportunities, make connections with other volunteers to find more opportunities specific to your interests. Trust me: volunteers are in high demand! 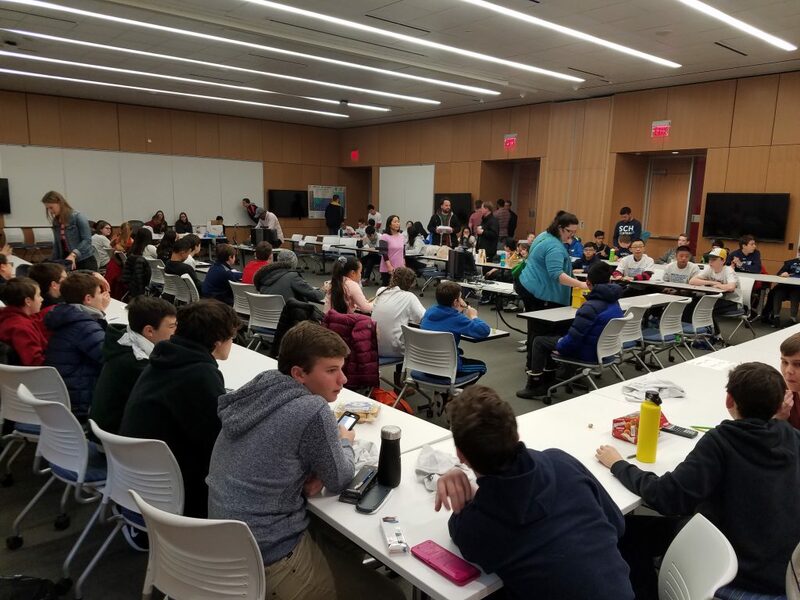 For Engineers Week 2019, the Newark, NJ office is hosting two local high schools in their ACE Mentoring Program. This is the second year that our Newark office has hosted ACE Mentoring and often visit the high schools for STEM events. 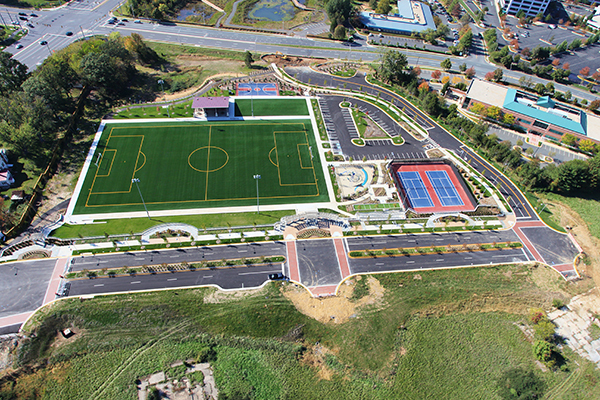 The ACE program this year is to design a multi-use park and playground on an actual 13-acre site in Newark near the Pennoni office. The engineers in the office teach the students about stormwater management and drainage as well as construction management activities. The Newark office also plans to take the students to NJIT engineering labs and a site visit of a local construction project. The ACE program runs from October to May each school year. 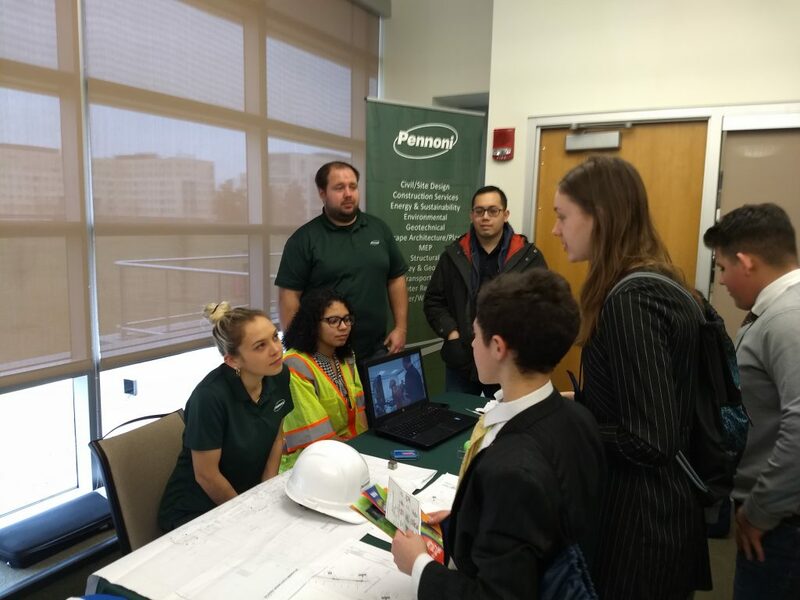 Our Newark, NJ office supported the regional Future City Competition at Rutgers University on January 19th. The Future City competition is “a program developed for sixth, seventh, and eighth grade students to help them discover and foster interest in Science, Technology, Art, and Mathematics (STEAM).” Students work in teams alongside a mentor to design a city, develop a project plan, test and manage their city with a Sim City software, build a scale model, write a technical essay, and make a presentation to judges. This year’s focal point required student to design their cities to be resilient to natural disasters. 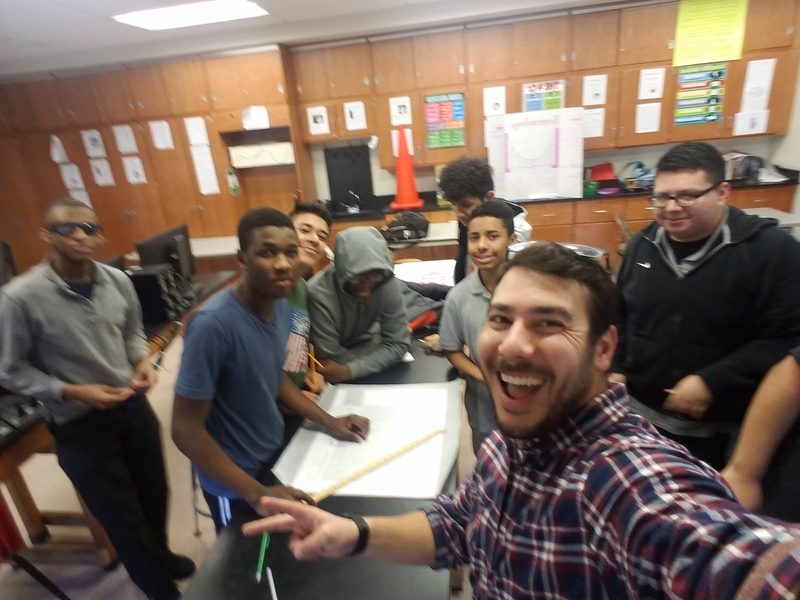 Drew Di Sessa supported a team of six-graders from the Holland Township School as their engineering mentor by visiting their school and helping them develop their Future City project and deliverables. This year’s challenge was “Powering Our Future.” The goal was to develop a City using a renewable energy source to provide electrical power during a natural disaster. The Holland Township School team chose a tsunami as their natural disaster and utilized solar energy to power a microgrid for their city. Drew helped the team understand planning and zoning issues, the project management process, utilizing the correct scale for their model, and considerations for flooding and electrical storage options for their microgrid. The Newark, NJ office attended the event as part of the “Meet the Professionals” portion which allows students to interact with various different types of engineers in a networking type setting. The table was staffed at various points by Kenneth Ponce De Leon, Stephen Hoyt, Gabrielle DaSilva, Robert Berringer, and Christina Ocasio. Stem outreach is important to me because I feel that kids do not know what an engineer does. I also feel that gender stereotyping makes girls not even consider a career in engineering. My favorite thing about being an engineer is being proud of what I do and feeling as though I make a positive impact on society. For advice to someone who wants to get involved: contact schools or professional associations and offer your time. Just talking about what you do and how you got there may inspire someone to try.